The summer may be a bit of a wash out here in good old Blighty but it doesn’t need to stop you getting your fix of adrenaline. Local councils have begun to get involved in the alternative sports scene, but the facilities they provide still have nothing on the privately run parks across the country. Here is a short list of the best British skate parks and some details of how to find them and where to stay. Have fun! Formerly known as the Playstation Skate Park, Bay 66 has been around for donkeys’ years and is easily one of the most iconic skate spots in the UK. It has been featured in music videos, documentaries and of course, skate videos. It’s filled with mini ramps, quarter pipes, fun boxes, rails and the street course has been revised and perfected over the years. It is currently being refurbished by the Nike 6.0 team and the new version is going to be EPIC. Try to avoid the central London Hotels, instead head to the nearby Bowden Court Hostel, which will only cost you about £30 per night for a bed. You’ll be out skating all day anyway, so you don’t need luxury! 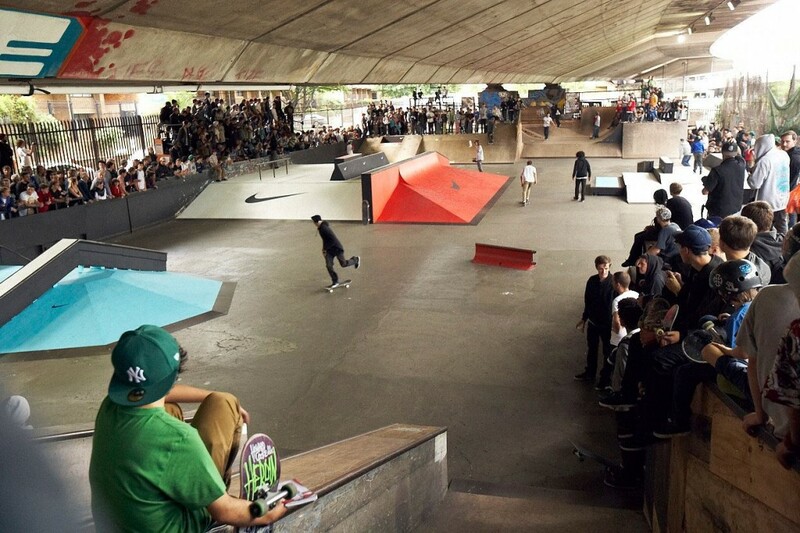 The legendary Central Skate Park is a HUGE 10,000 square foot park full of all kinds of skate-able goodies: quarter pipes with perfect transitions, smooth rails and ledges on fun boxes and spine sections – it really has got it all. As with most big cities, Manchester hotels cost a small fortune but luckily there are plenty of other, more affordable, options. Check out Hatters Hostel on Newton Street. They have beds for as little as £25 per night and you’ll be able to skate to the park in no time at all! If you want to see where the best skaters and BMXers go, head to Rampworx, the UK’s biggest indoor skate park. Its huge ramps and epic rails have attracted some of the biggest names in the extreme sports industry. They come for the quality of workmanship that has gone into every section of the park and it keeps getting better and better. If you’re ready to put your skills to the test, this is the place. The Rampworx team have kindly created a list of Liverpool hotels which they recommend to visitors to the city. You can see their list here, which also includes plenty of quality budget options. This entry was posted in Land Sports, Skateboarding and tagged Skate Parks, Skateboarding, UK. Bookmark the permalink.